A very large tropical moth often found in Asian cities like Singapore. 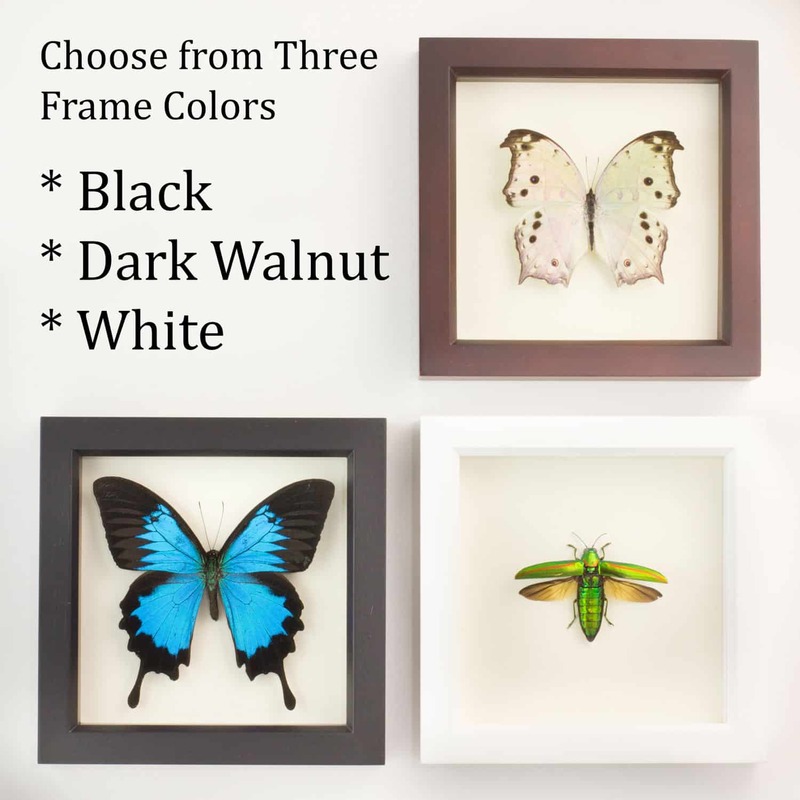 SHADOWBOX COLOR: pick from BLACK, WHITE, OR DARK WALNUT. MUSEUM QUALITY SHADOWBOX: museum grade UV blocking glass, gallery style frames, archival mounting papers. Includes interesting natural history information about species. See why our insect frames are the TOP CHOICE of interior designers, museums and customers. This moth specimen is famous for its “swarming” behaviour; this may not be true swarming but merely mass emergence. This moth is related to the Day Flying Urania Moth. ► Natural history story about the specimen comes on a vintage style museum label. 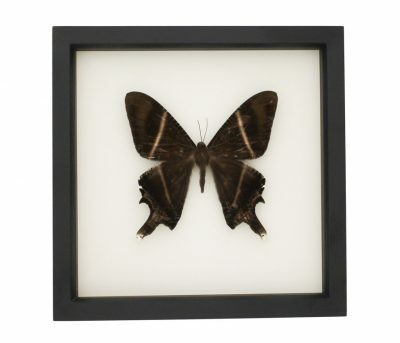 ► Info about ethical moth origin and care of display. ► Professionally made by an entomologist in Sonoma County California. UV rays are one of the most significant sources of degradation in museum artwork so we use Tru-Vue Conservation Clear UV blocking glass which blocks 99% of UV rays so you can enjoy your insect art for decades. 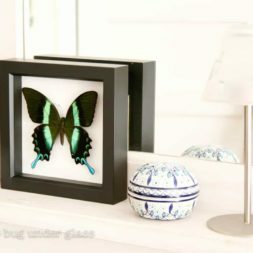 We take great pride in designing and making our high quality insect art and have over 5,000 5-star reviews, the most on the Internet for this category. 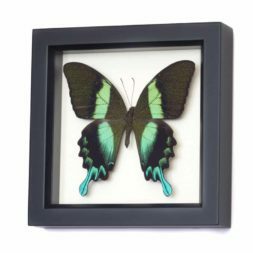 Our framed insect displays have been recognized by Pottery Barn, West Elm, Apartment Therapy, Herman Miller and won the BEST of HOUZZ award (leading home design site) for 2014 & 2015. see all our awards and press. 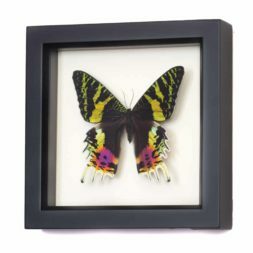 Flat Rate Shipping of $9.95 for all Framed Insect Art no matter how many you purchase. Jewelry has a flat rate costs of $3.75 per order and $13 for international. Your order will ship within 1 to 4 business days with tracking number. If you are not 100% satisfied with your selection, you can return or exchange it within 7 days of receipt. 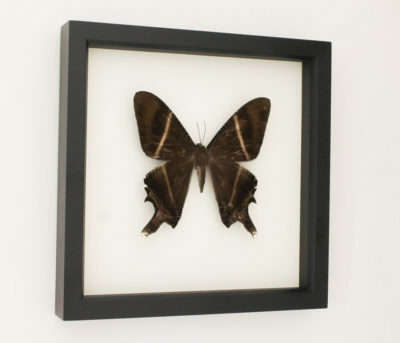 FRAMED INSECTS cannot be shipped outside of United States due to exporting restrictions. 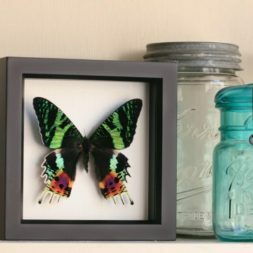 Like all fine art, keep insect frames out of direct sunlight and areas of high humidity. Butterfly wing jewelry is not waterproof and care should be taken to avoid contact with moisture, as this could damage the wing. When not wearing, store in a cool dark dry place to preserve the colors. Polish with a soft silver polishing cloth. The bold aqua and greens of its wings pay homage to its feathered namesake. One of the most colorful Moths in the world.